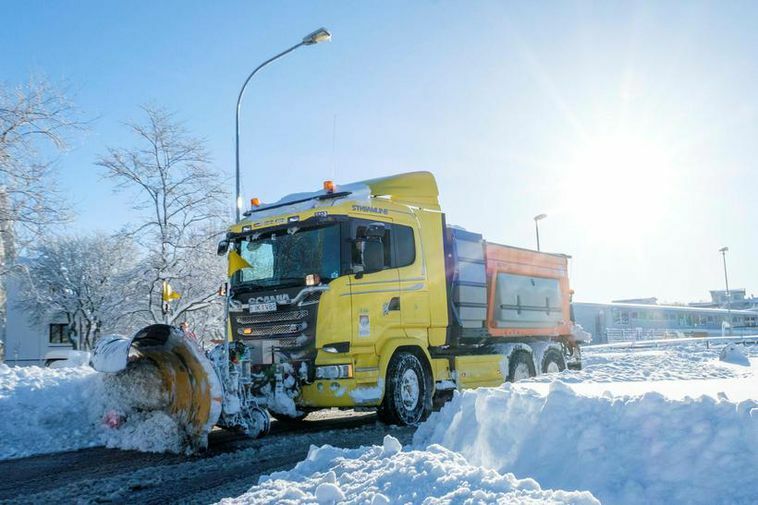 Snow fell on Reykjavik last night and this morning snow ploughs were clearing major lanes. More snow could fall in the space of the next few hours. Traffic could however be slower than usual. There's more snow for Akureyri who already had 105 cm of snow yesterdya morning. Yesterday temperatures plunged to 19.4 C in Eyjafjörður in North Iceland.